A damage exploit has been found on the Overwatch PTR; Symmetra's reworked primary fire can an alarming amount of damage per second. ​Symmetra's reworked primary fire get stronger as you hold it down, but by rapidly clicking her primary fire on the ​Overwatch PTR, one can reach absurd levels of DPS. Dexausmelmac and his friend created a macro that allows Symmetra's primary fire to go off as fast as possible, multiple times in a row. They found that the beam can deal 49 damage every four frames, which equates to roughly 375 damage per second -- a lot more then Blizzard likely intended. On the live version of Overwatch, this damage exploit does not exist. 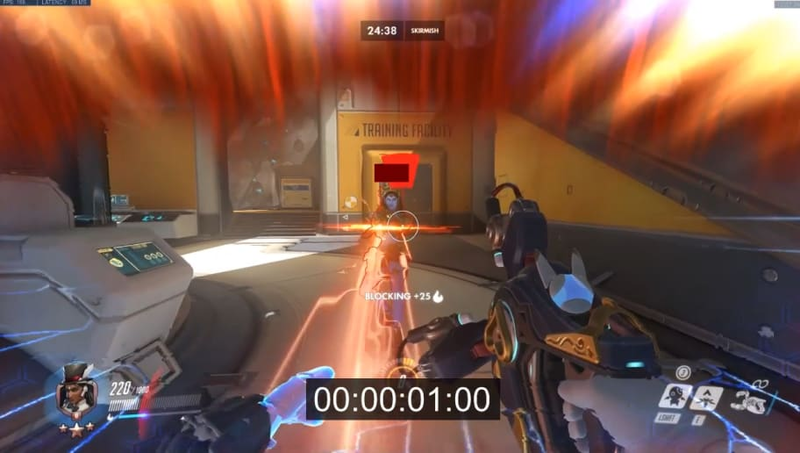 A player can rapidly click Symmetra's primary fire to deal damage, but that damage build up is slower than what one could get by holding the primary fire button down.